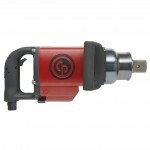 CHICAGO PNEUMATIC has announced the Super Duty 1-1/2” Impact Wrench - the CP6120 Series. The company says with a special 2-jaw clutch they offer the user an unbeatable combination of power and ergonomics. TUFNOL COMPOSITES reports it has supplied specialist products to the new state-of-the-art bridge across Scotland’s Firth of Forth, the Queensferry Crossing.The company says isolation washers manufactured from its high performance glass laminate are forming preloaded connections with the bolts that attach critical components to the bridge construction and have been specially designed to cope with the forces that will be placed upon them every day, 365 days a year. 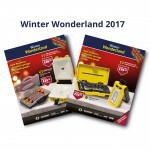 WILKINSON STAR reports it has launched a new all product catalogue featuring a range of products from industry leading brands and the very latest product information and technical data. 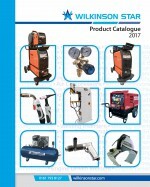 The company says the catalogue also features helpful user tips on, for example, air equipment consumption guides and easy selection of welding torch parts with full colour breakdown images. HERAEUS NOBLELIGHT reports it has moved its applications laboratory from the Technical University of Kaiserlautern, in Germany, to Cambridge, UK, the headquarters and manufacturing facility of its Arc and Flash division where it will provide expert resource in developing Xenon flash lamp technology to meet the latest industrial challenges. 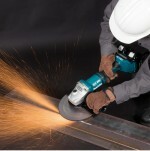 MAKITA reports it has introduced additional mains powered grinders to its range offering many features and benefits for the operator. There are various models in the 115mm and 125mm range all of which feature a new design of slim-line machine body. The company says this provides the best possible ergonomic grip around the barrel which has a perfect circumference and shape, and allows convenient and comfortable grip for best possible comfort and machine control. All models feature the new design of wheel cover which can be moved to any desired position for protection whilst the grinding wheel is exposed for work. The wheel cover position can be altered without the need for tools. The spindle lock button is conveniently placed on top of the transmission housing. NORBAR has warned that care is needed in the choice of tools to prevent vibration white finger (VWF). Commercial vehicle operators and power tool purchasers are reported to be largely unaware of the potential personal injury risks regarding the use of impact guns as a bolting device. 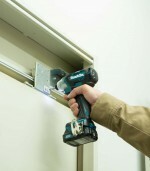 NORBAR TORQUE TOOLS has launched a new electronic torque tool, the EvoTorque, designed to offer users unprecedented joint control. Norbar, a world leading torque company, has designed the EvoTorque to ensure that operators have the correct torque output from hard through to soft joints by utilising patent pending motor technology and control software. DAWSON SHANAHAN says its exhibit at Advanced Engineering UK 2013 is a must-see for anyone wishing to benefit from the highest degree of flexibility in machining, as well as previously unheard of short cycle times. ESAB reports it provides a comprehensive range of consumables for all the major arc welding processes used with nickel alloys, dissimilar welds, cast iron, cryogenic applications and for nickel alloy cladding. 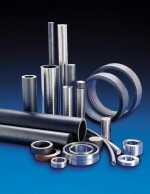 MMA electrodes, MIG Wires, TIG Rods, SAW Flux-Cored Wire and Strip Cladding Combinations are all available. SAFETYKLEEN has supplied Loughborough College with two spray gun cleaners that will be used in the College’s new paint shop. The College has a Technology Centre, which caters for engineering, motor vehicle and electrical installation students. SPIROL disc springs can provide a solution for design engineers in their on-going challenge to increase the productivity of turret punch presses. Traditional turret punch press tool designs have included coil springs to facilitate the pushing of the punch through the sheet metal and to pull it out.